Alvin (not his real name) is a cheerful man who likes to wake up early. Despite an early morning routine, he still manages to look relaxed while being smartly dressed. He doesn’t seem like it but he is an ADHD patient who has turned to psychedelics, particularly magic mushrooms, for self-improvement, and to combat the negative effects of his diagnosis. 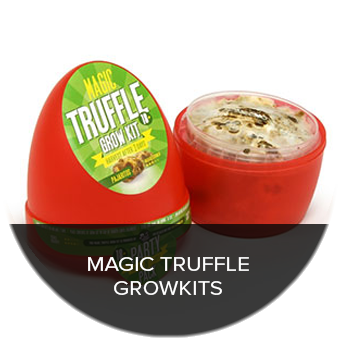 He takes a tiny dose of magic mushrooms every other day to help his work performance, and enrich his daily life. Extraordinarily, this regimen helped him wean off his ADHD medication. After being diagnosed with ADHD at the age of seven, Alvin has described his ADHD as: a mix of irrational impulses, the lack of conscientiousness, disregard for consequences, and an inability to focus on one thought. This combination of unhealthy thought processes has made it very difficult for him to do anything. He was prescribed Ritalin and he took the drug religiously until he was 16 years of age. However, a friend told him he seems to have lost his personality every time he took the drug. That was his wake up call. With those words ringing in his ears, he decided to leave the medication behind. He preferred his ADHD symptoms over being an identity-free zombie. Alvin continued to struggle for 6 years. He was unable to focus in college. After 6 years, Alvin was back on Ritalin. However, after years of switching between brands, his tolerance went through the roof. He thought he needed more amphetamines. It was even more difficult to accomplish his daily tasks. It was at this point when Alvin found himself taking a dose of Psilocybe cubensis with some close friends. And the experience changed his life. 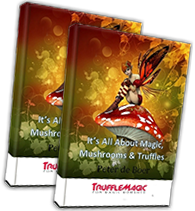 “I believe my first dose of magic mushrooms reduced the hyperactivity I was experiencing with ADHD. It allowed me to take control of my uncontrollable symptoms,” he said. While he was under the effect of psilocybin, it came to his attention that he has more control of himself, his thoughts, his body, and his emotions. Time distortions and altered perceptions are known effects of psilocybin. After gaining a new perspective of his ADHD, Alvin decided he wanted to maximize the benefits he experienced with magic mushrooms. He started micro-dosing, a process of taking less than the minimum perceptible amount of magic mushrooms every other day. At present, Alvin has been micro-dosing since November 2016. “Aside from allowing me to control my ADHD, micro-dosing has made me a more positive person and it improved my attitude towards others, and myself,” he said. He also stands by his belief that his first dose of the psychedelic mushroom helped improve his symptoms. Compared to traditional ADHD medications, the effects of micro-dosing are less intense and won’t dampen the personality. When speaking about his old medication, Alvin believes the ups and downs of those medicines can be exhausting. After a certain point, those medicines became ineffective for him. While Adderall has helped him through some of his life’s most important events such as graduating from school, traditional medicines have diminishing effects. He says micro-dosing allows him to use his brain the way he wants to. He is now able to explore single thoughts one at a time and he doesn’t need to worry about tolerance or the unpleasant effects of coming down from amphetamines. He is also less susceptible to mood imbalances whenever he is micro-dosing. Micro-dosing on psilocybin mushrooms allowed Alvin to wean off amphetamines altogether. He can keep up a busy life, build relationships, and develop his business. He was able to take back his life without being a slave to big pharmaceuticals. “If you’re desperate to be free of amphetamines without suffering from withdrawal, I strongly recommended micro-dosing on magic mushrooms. I understand that medications are a part of my life but through micro-dosing, I am able to accept myself for who I am without losing my identity. Another ADHD sufferer came forward. Mitchell was also diagnosed with ADHD at a young age. He describes his ADHD in a way that’s similar to Alvin’s. He is unable to concentrate, he can’t study, and he has missed countless appointments, deadlines, and job opportunities. For almost ten years, he took Ritalin. The drug helped with his concentration and anxiety but he felt its diminishing returns made him eventually quit. However, it wasn’t smooth-sailing from the start. Mitchell says micro-dosing is only effective if you are willing to work on yourself. Without continued, conscious effort, the brain will regress into unhealthy patterns. Micro-dosing only opens the door. It’s up to you to go through it. “I actually think micro-dosing is an effective therapy option without requiring a full-strength psychedelic trip,” he says. These stories are just from two people who have life-changing experiences with micro-dosing. Imagine just how many ADHD sufferers are there who are gradually leaving their Ritalin bottles inside their medicine cabinets in favor of a small, imperceptible dose of magic mushrooms. In a survey done by James Fadiman, he found out 31% of people who are micro-dosing are self-treating with ADHD. 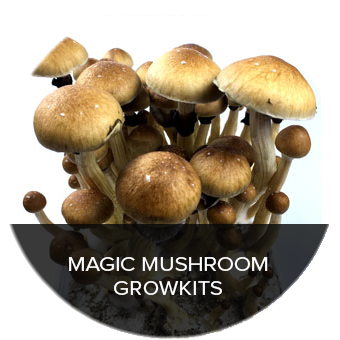 This is nearly as many as those who use small doses of magic mushrooms to treat depression. Micro-dosing is able to give what pharmaceuticals cannot give ADHD patients: control of their symptoms without losing their identities. Stories like Alvin’s and Mitchell’s common among micro-dosers. Are we on the cusp of a paradigm shift in ADHD and mental health? 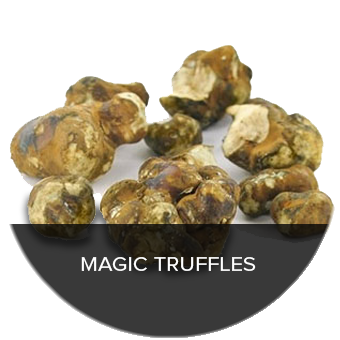 To experience the benefits of psilocybin, order magic truffles online from Truffle Magic today. See how a single dose can improve your mood and state of mind for days.